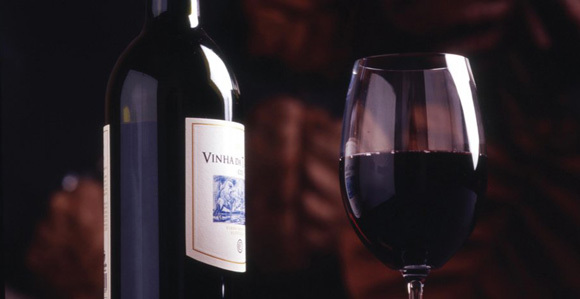 The Portuguese poet Fernando Pessoa wrote, "Boa é a vida, mas melhor é o vinho" (Life is good but wine is better). We wouldn't go that far - but there is a real buzz around Portuguese wine at the moment. In the thirty or so years since it joined the EU, Portuguese wine has morphed from turning out uninteresting whites and tannic reds to producing innovative, interesting and great value wines driven by experimentation, investment and modern technology. Portugal has always been a bit different. Historically an ally of England against the French it became isolated itself for much of the 20th century under the Salazar dictatorship that ended in 1974. Whilst known by some only for port, vinho verde and Mateus rose, Portugal is proud of its range of over 300 weird and wonderful indigenous grape varieties - and because its wine culture developed in relative isolation, there are many grape varieties that do not grow anywhere else in the world. So, if you don't recognize the grape variety on a Portuguese wine label, it's a good thing. As Jancis Robinson has written, "Isolation has its disadvantages but one strong advantage for Portuguese wine is that it is made from a dazzling array of high-quality vine varieties that are, for the moment anyway, rarely found elsewhere... for a palate tired of the limited palette of international varieties, Portugal has much to offer". To many wine experts, Portugal is the last frontier of wine in Western Europe with lots to be tasted and explored. Portugal's defined appellations are designated DOCs (Denominação de Origem Controlada), along with a second-tier IPR (Indicação de Proveniencia Regulamentada) - effectively DOCs in waiting - and a third, more flexible classification for larger regions, VR (Vinho Regional). Its finest white varieties include Alvarinho (aka Albariño), Bical (Bairrada), Arinto (in southern Portugal), and the full-bodied Encruzado (Dão). For the reds, the Port grape Touriga Nacional is its trump card, followed by other Port grapes such as Touriga Franca, Tinta Cão and Tinta Roriz (aka Tempranillo), Baga (Bairrada), Castelão Frances (aka Periquita/João de Santarém in the south) and Trincadeira in the Alentejo. We love selling some wines that have been truffled out and identified by Marta of Marta Vine who moved to the UK in 2009 after years in Portugal working on vineyard mapping and on her father's cork farm in Alentejo. Marta brought with her the Portuguese love of good food and great wine which has inspired her to be one of the best Portuguese wine importers to the UK. Azulejo Tinto and Branco are great value and showcase some excellent blends of these obscure grapes!